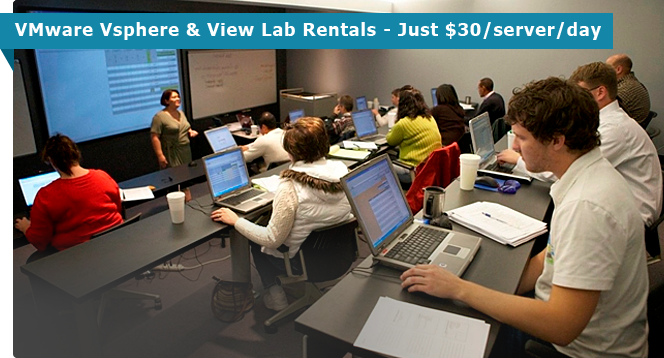 vLab.pro's primary business is renting turnkey remote access labs to VMware Authorized Training Center (VATC) partners. We provide remote access virtual server lab environments for VMware's most popular classes along with the enterprise class infrastructure and support you need to ensure a successful class - all at about ½ the price of competing lab rental providers. We support both MS Remote Desktop Connection (RDS) and HTML 5 Remote (upon request) access so your students can access our labs, even from secure customer sites. See Getting Started for more information or Pricing to review prices and classes. Or, Contact vLab.pro to make a reservation. Have you attended an Authorized VMware vSphere class (perhaps Install Configure Manage [v6.x] or [V5.x] or FastTrack [v6.x] or [V5.x] and want to run through the labs again? Or, are you preparing to sit the challenging VMware Certified Professional exams and need to improve your understanding and skill. Increase your confidence and improve your odds of success by running through all the labs again - at your own pace and without sharing. Please review our vSphere Lab Rental page for more information on renting a personal practice lab, or Contact vLab.pro to schedule a reservation. If you haven't attended a vSphere class, rent our labs with our own VMware vSphere Complete Lab Guide (included) and work through vSphere from first principles to a complete installation... Please review our Independent vSphere Lab Guide and Self Study Labs for more information or Contact vLab.pro to schedule a reservation. 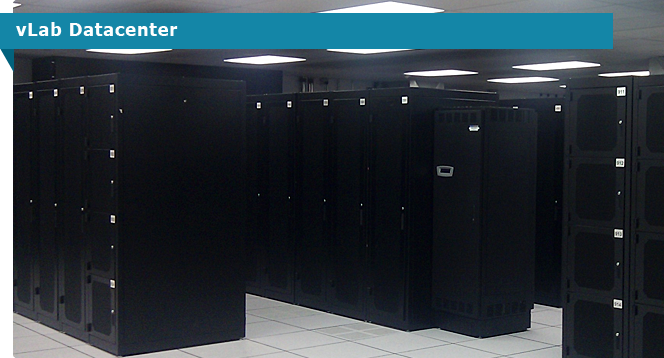 Your lab rental environment include a Windows Remote Lab Access desktop, two ESXi hosts, an iSCSI SAN, NFS and SMB shares, Active Directory, DNS, DHCP and everything else you need. Just long in and go. Details here.